Those living there may already know, and those considering moving to the area will be interested to know, that plans are underway to transform Mayfair. For the first time, Mayfair’s community of residents, businesses and visitors have articulated a specific desire to develop the area, boosting it to the national top spot for business, tourism and luxury living. In addition to sounding desirable at surface level, research by UK charity MIND also suggests that development the community is working towards will also work to improving the mental health of residents, a prospect that the Mayfair Forum participants can’t help but praise. At the heart of this development is a focus on the use of Mayfair’s green spaces. 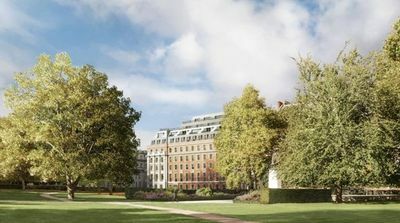 Currently, Grosvenor Square, Berkley Square, Mount Street Gardens and Hanover Square make up the bulk of Mayfair’s green spaces, with areas such as Brown Hart Gardens emerging as an additional location. While these spaces have a long history within the area, they have seen significant change over recent years with regards to their layout and upkeep. As early as the 19th century, public green spaces were designated in direct response to the belief that they would provide health benefits, though both access and engagement have been negatively impacted over recent years as a direct response to global urbanisation. This, many believe, has had a negative impact on the mental health of residents of areas with research suggesting that limited access to greenery and could be responsible for the £1.6 trillion spent annually on mental health-related conditions across the globe. This work actions the long recognised connections between the impact of green spaces on mental health and wellbeing; mental distress, anxiety, depression, greater wellbeing and cortisol profiles being great examples and is corroborated by recent research undertaken by MIND and the University of Essex. 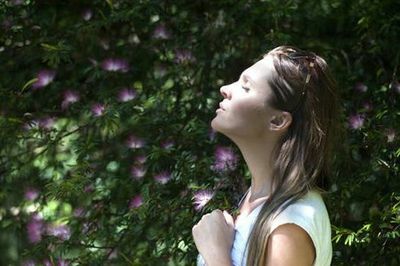 This research suggested that 94% of a test group responded positively to eco-therapy, which can include time spent in green spaces and is a positive, proactive response to the World Health Organisation’s prediction that depression will be the second greatest cause of ill health by 2020. Eco-therapy, which, according to MIND can be anything from access to a horticultural development programme supervised by a therapist, to a simple walk in the park, being outdoors and being active, benefits mental health in a manner previously underestimated. It’s the latter that this desire for development of green spaces in Mayfair will seek to achieve most significantly, supporting MIND’s push for wellbeing to make a more significant impact on architecture and town planning. For those living in Mayfair, this step towards greener spaces will be of greater benefit than the majority of residents (or even passers-through) even realise; particularly in relation to mental health and wellbeing. It is these simple exposures to natural environments that are proven to be psychologically restorative and this can only be seen as a good thing.